Well guys, two completed months in and we keep...buying things! But don't worry, we also keep finishing things too! 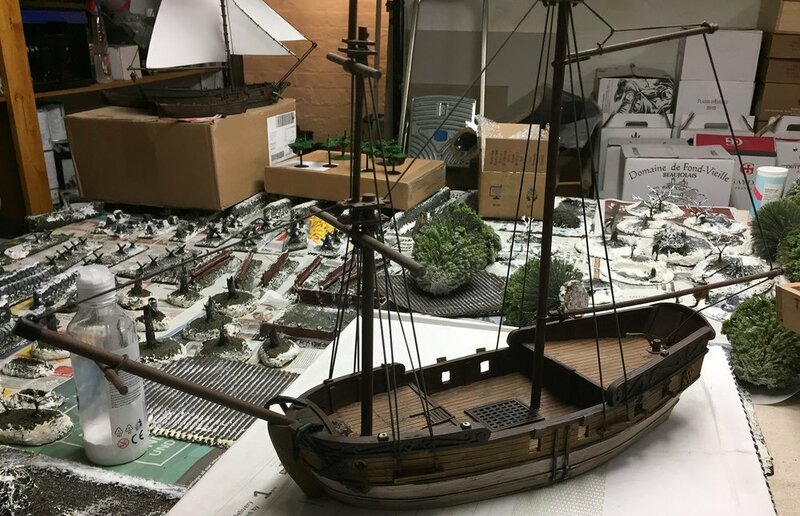 Last month I finally finished my Blood and Plunder Sloop and my Winter Terrain set, whilst Brother Handro finished a superb looking Tau TX4! With that in mind, let's get to next month! I, Der H, do hereby and herein solemnly swear, on my honour and worthiness as an Able Seaman, to complete both my Blood and Plunder Brigantine and Frigate, else I be condemned to the locker of Davy Jones. I, Brother Handro, swear to complete one TY7 Devilfish of the Vior'la Sept, else I besmirch the honour of the Fire Caste. Fingers crossed at making it three-for-three! Thought for the day: "Only the insane have strength enough to prosper. Only those who prosper may truly judge what is sane."